The summer is a great time to let your dog go for a swim. Swimming can keep your dog cool on a hot day. Swimming is also a wonderful form of low-impact exercise in this era of increasing occurrence of anterior cruciate ligament tears. On the down-side, the dermatological downsides of swimming typically include ear infections and hot spots. The usual presentation of a swimmer to our hospital is for an ear infection. The dog has usually been swimming 48 – 96 hours prior, and is now constantly shaking his head or scratching at his ears. The dog’s ear canal is shaped like the letter J and is a fabulous incubator for yeast and bacteria. Once these bad guys build up in the ear canal they cause inflammation and irritation which make the dog shake his head or scratch at his ears to the point of causing trauma to the tissues. To prevent an ear infection in your swimming dog, ask your veterinarian to recommend a drying ear cleaner. If used after each swim, the drying agent can really help nip ear infections in the bud. We also tend to see a lot of hot spots in swimmers. Usually these occur in dogs with thick coats or long hair. The water gets trapped next to the dog’s warm skin, and again, a wonderful incubator is formed. Viola! after the magic 48 – 72 hours a skin irritation occurs. The dog then licks or scratches at the affected area and a full blown hot spot (skin infection) is under way. You will need a visit to the veterinarian to help with a hotspot. Usually the hair is clipped away from the affected area, the area is cleaned, and antibiotics are prescribed. 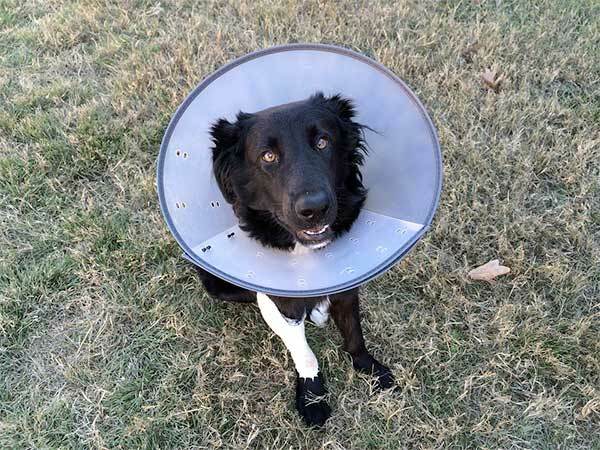 An Elizabethan collar may also be necessary to keep the dog’s lips off the site and allow it to heal. Dogs that are scratching at their hot spots may need Soft Paws (soft, plastic nail caps) placed or wear socks to prevent excoriation. Prevention can be as easy as a shorter summer hair cut and the liberal use of towels to dry your dog after every swim. Some dogs can get Swimmer’s Tail. You guessed correctly; it is a strain of the tail a dog can get from swimming. When dogs swim, they not only paddle with their legs and paws, but they also use the tail like a rudder, and can paddle the tail back and forth. For a dog that comes up the Swimmer’s Tail, rest and possibly a veterinarian prescribed non-steroidal anti-inflammatory may be necessary. Just like with any physical activity, strains can usually be prevented by slowly increasing your dog’s duration in the water over a period of several weeks or months. Last, but not least, the other common issue we see with swimmers is eating fish bait. Where there is water (aside from a swimming pool) there are apt to be fish. Fishermen may leave baited hooks discarded on docks, beaches or around ponds. Dogs love to eat the bait and do not realize they have also eaten a fish hook. 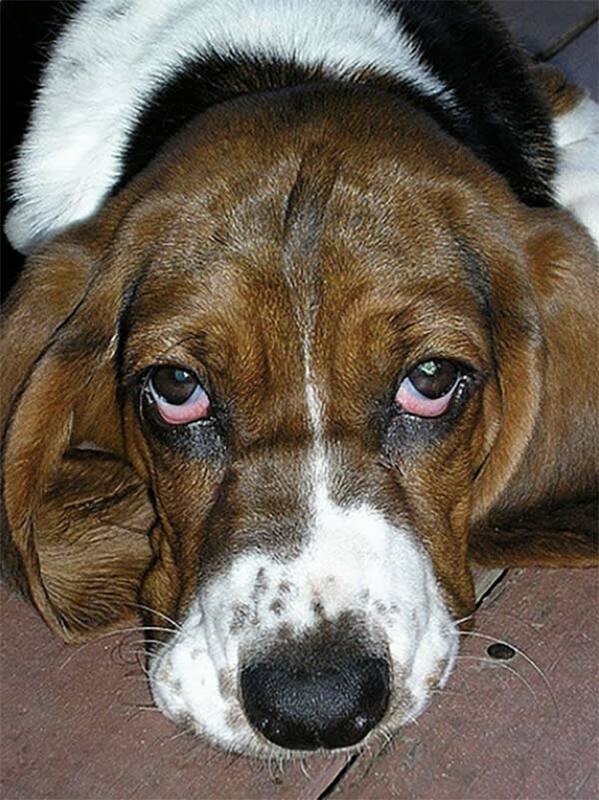 A dog who eats a baited fish hook may be a little off of his food, lethargic, or vomiting. In worst case scenarios the dog may be very ill; febrile, lethargic, anorexic, and/or nauseous. While fish hooks are very recognizable on x-ray, and therefore are easy to diagnose, they may require surgical intervention. Keep an eye out for areas that people tend to go to fish, and head your dog in the opposite direction. Overall, swimming is a great form of exercise. With some simple precautions your dog should be able to enjoy his summer swims problem free.